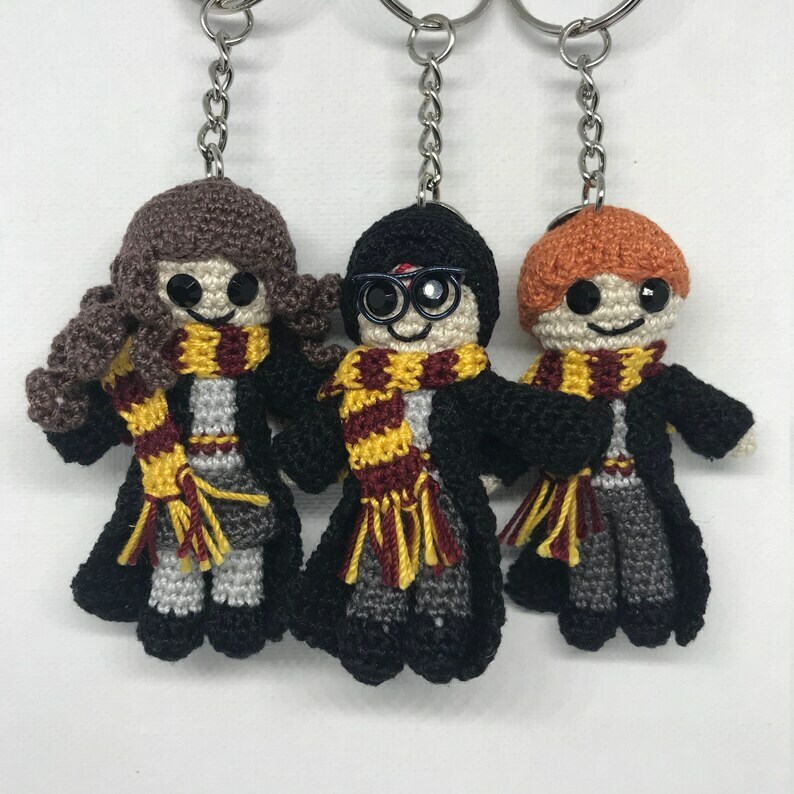 Sweet little Harry Potter key chains. 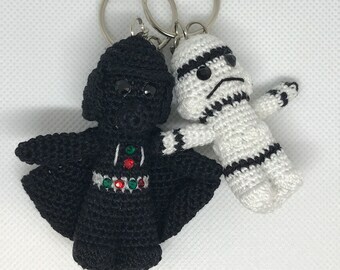 Crochet with crochet and/or embroidery thread. 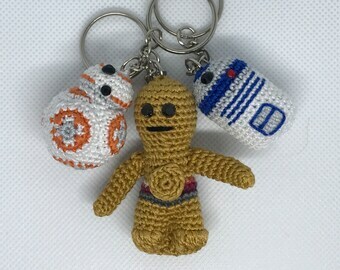 They are soft, plush little key chains. They don't weigh much, so won't weigh down your purse or pocket. Also great for that kiddo who likes to hang fun toys on their backpack or coat. Perfect gift for the Harry Potter fan in your life, or as a treat for yourself!